Posted December 19th, 2011 by admin & filed under Archive. 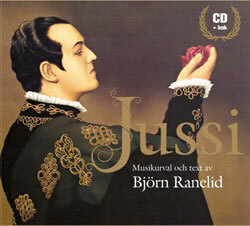 100 years after JUSSI BJÖRLINGS birth, X5 Music is releasing an exclusive CD box with his most famous pieces. Together with the CD, a extensive booklet is enclosed, with preface written by the Swedish famous writer Björn Ranelid. After first week after release (7th December), the album peaked #1 on Swedish Chart for Most Selling Classical Album. This album is only available in Sweden, please email info@x5music.com if you don’t live in Sweden and want to have more information how to order.